Play three matches before the midway point and win a free tube of tennis balls. Suitable for all standard of player, from beginner to expert! 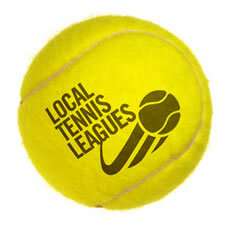 Welcome to the brand new Acton & Southfield Park Tennis League. The league is centred on the two sets of local Acton courts, but matches can be played on any suitable court in the area. The league is open to all adult players in Acton. It is designed to offer an easy structure to play competitive matches at a time that suits you. New members are welcome to join at any point, but you will need to wait until the start of the next round before you can begin playing. There are four rounds a year of singles, so you shouldn't have to wait long. This is a mixed singles league, (with mixed doubles also offered, subject to demand). • It’s divided into groups of about 6 players of a similar standard. Everyone in their group plays everyone else on one of the courts listed on the courts page. • It’s up to everyone to arrange their own matches. You get one point for every set you win. • At the end of the round, the top one or two players go up to the next group, and the bottom one or two go down. • You get a FREE can of balls and two bonus points if you complete three matches by the half way point. • WINNERS of each group WIN £20 and one of our mighty fine certificates. Ready to get playing? Just go to the Join Now page. The first round runs from June 7th to August 1st, 2010 and you need to sign up before Wednesday 2nd June.